On the Tuesday following Heroes Convention I attended a fascinating discussion forum. Visualizing Peace: Graphic Art and Social Change was held at Johns Hopkins’ prestigious Paul H. Nitze School of Advanced International Studies. The forum brought together artists, activists and conflict resolution practitioners to explore the ingenious methods in which graphic art and comic books have been successfully employed to affect social change around the world as well as to generate ideas for expanding the potential of bridging the two fields. 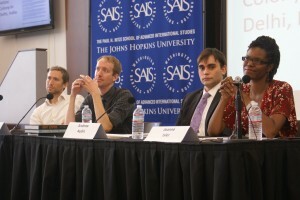 Panelists included Mike Jobbins, Nate Powell, Andrew Aydin and was moderated by Jeanne Isler, Director of USA Programs for Search for Common Ground. Search for Common Ground is an international conflict transformation and peacebuilding NGO seeking to transform adversarial conflict into cooperative action. The organization has been using comic books in some of its overseas programs for educational and informational purposes. I’m delighted that I had a chance to learn more about their creative use of the medium and look forward to producing a segment that highlights their activities. 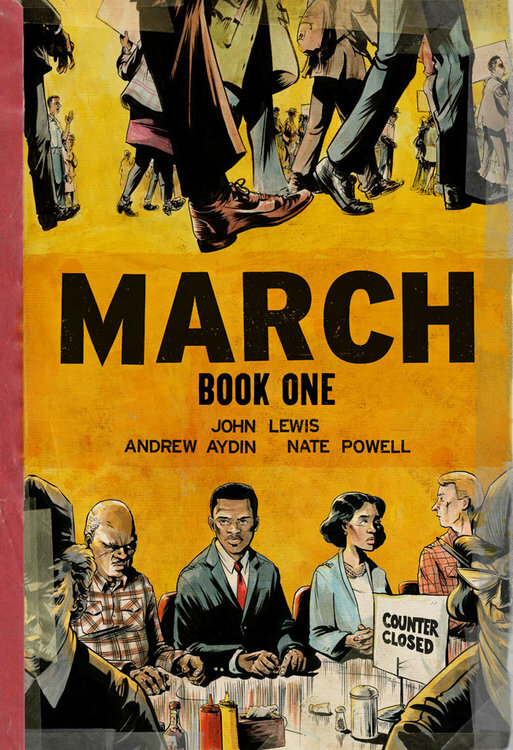 I’d come out mainly for Andrew Aydin and Nate Powell who are collaborating with civil rights icon, Congressman John Lewis on a new graphic novel from Top Shelf. March draws from Congressman Lewis’ personal experiences to tell the story of the civil rights movement that changed the face of our nation. I got an interview with artist, Nate Powell, that you’ll see as part of FF’s website exclusive content. You may be familiar with Nate’s work, Any Empire, as well as the Eisner and Ignatz Award winning, Swallow Me Whole. 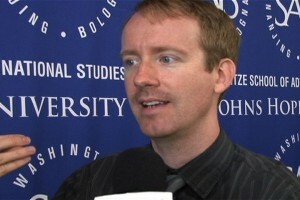 It was a great thrill to get his unique insights on the historical significance of March. I think that his artistic style lends itself to this important graphic novel. 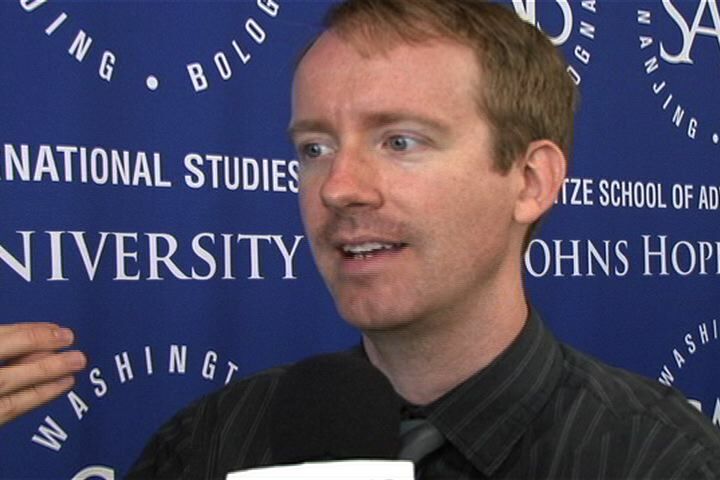 Andrew Aydin is the co-author and a member of Congressman Lewis’ staff. He and I had a chance meeting in Fantom Comics several months ago and have remained in contact. Words can’t describe my excitement over March. 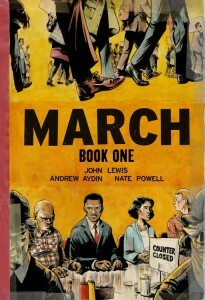 I hope to have the opportunity to interview Congressman Lewis and get his thoughts on the broad exposure that the graphic novel will have and its impact on youth, society and the comics industry. The buzz surrounding the highly anticipated three part work is already venturing into previously unknown territory. In the first ever presidential endorsement of a comic book, former President Bill Clinton recently praised March. The blurb is worth repeating here. Keep watching, the best is yet to come! ← Heroes Aren’t Hard To Find…They’re at Heroes Convention!